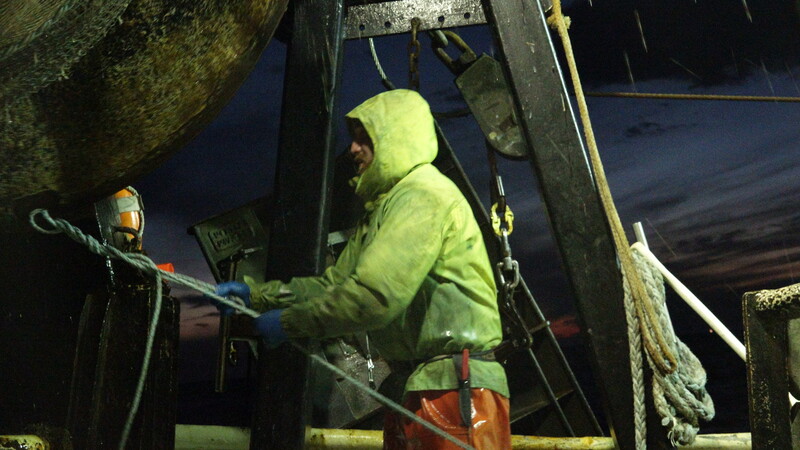 Home Featured	Transition to industry based surveys approved by NOAA. At last! The announcement from NOAA on Tuesday that they will begin to transition the Northeast Fisheries Science Center’s bottom trawl surveys from their research ship, the Henry B. Bigelow, to fishing industry vessels is a cause for celebration on the waterfront and represents a real opportunity to get the fishing industry in New England out of disaster mode. It is a bold decision but it is undoubtedly the correct one and, from an industry perspective, one that is long overdue. Science Center director Dr. Bill Karp deserves enormous credit for setting this process in motion. 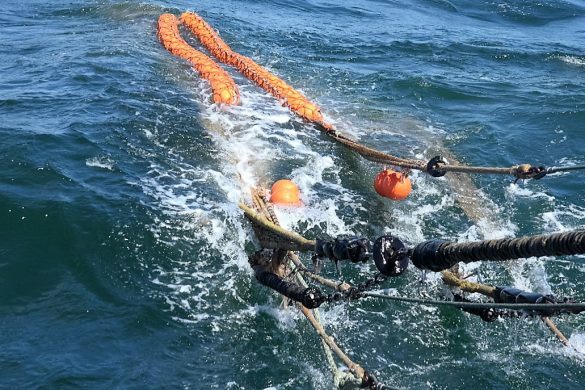 It is a clear signal that NOAA wants to build trust and transparency, qualities that have not always been in evidence in its long and difficult relationship with the commercial fishing industry in New England. The problems facing our fisheries are well documented. But amidst all the controversy, litigation and hard feelings surrounding fishery management, there is general agreement on one point: the need for better fishery science, to enable timelier, more accurate and more useful stock assessments. Maintaining healthy, sustainable fish stocks to support a robust commercial fishing industry are goals shared by all. Of course fishermen should be actively involved in the collection of survey data since the results determine how much fish they are permitted to catch. We hear a great deal in the media about overfishing but the value of groundfish landings has declined by almost 50 percent since 2011. Yet the catch for several of our stocks is less than 50 percent of the quota because of regulatory constraints and catch limits that do not reflect what fishermen see out on the water. It is a fact that more fish are dying of old age in our waters than are coming ashore, largely as a result of scientific uncertainty. 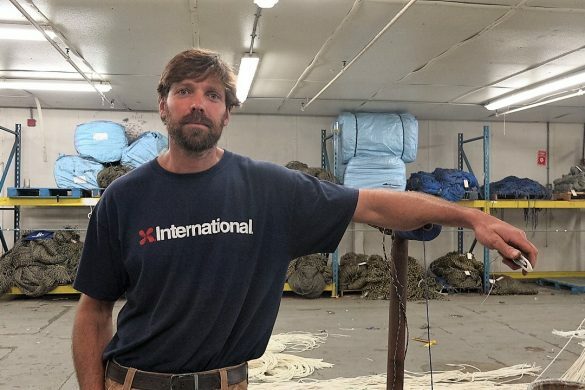 Fishermen continue to pay a heavy price for such uncertainty and many understandably feel as though they have become merely objects of regulation. Dr. Karp’s brave new world order will not come into being magically or overnight. As with any institutional shift, there will no doubt be some resistance to any change in the status quo. The Science Center’s trawl survey time series extends back to 1963, a record no other institution globally can match. 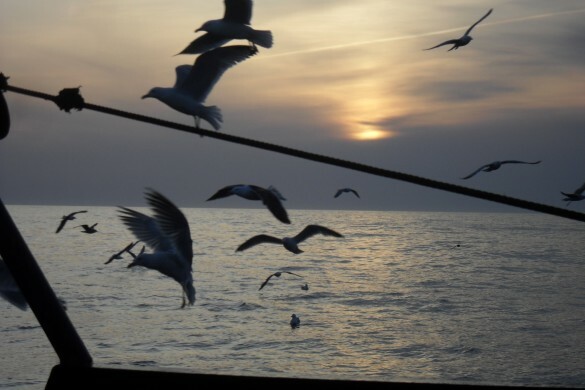 A great deal of valuable work has resulted, not only from trawl surveys but also in ecosystem modeling and management. There are those within the Science Center who are heavily invested in all of that. Many purely practical problems exist as well. Calibration of the time series to new data platforms while maintaining survey protocols presents a new set of challenges. But the fact that the willingness to change has been expressed publicly means there can be no going back. Dr. Karp brought his vision to Washington on Wednesday and returned with assurances that his plan has received the endorsement of the NOAA hierarchy there. The fishermen stand ready to play their part. 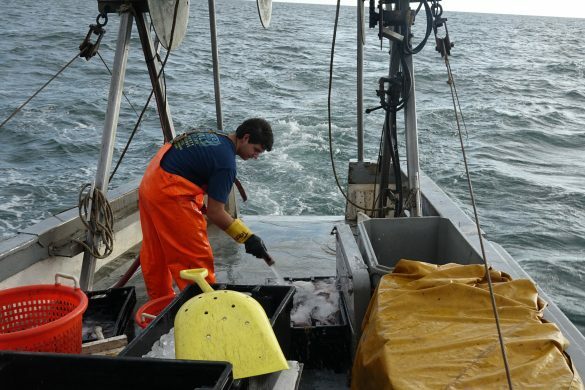 Many already collaborate voluntarily with NOAA’s Study Fleet program by reporting data on their fishing effort, the type of gear used and the areas where they fish, while sensors on the trawl doors record water temperature and depth for each tow. The valuable data collected in this way now contributes to the stock assessment process. The advantages of working with industry boats are obvious. 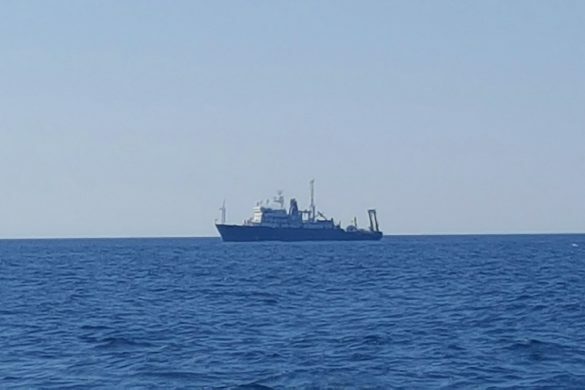 The partnership with the crew of a commercial vessel offers an ideal arrangement for survey work, combining the fishermen’s expertise with the gear with the data gathering and analysis expertise of the survey team. The fishermen’s experience with gear could have avoided a lot of the problems we are dealing with now. Industry vessels can also mobilize quickly and provide the flexibility to survey throughout the year rather than just spring and fall. 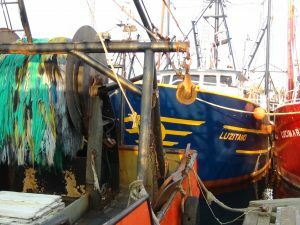 On February 5th, 2015 Bill Karp came to the seafood auction in New Bedford for a meeting with Brian Rothschild and Richie Canastra to listen to the Center for Sustainable Fisheries detailed proposal for a cooperative trawl survey using industry vessels. It seemed to us a perfectly good idea but at the time we felt it had been rejected. But we have never ceased its advocacy and it is immensely satisfying to see that its time has come. We now stand on the threshold of a new era. While we must not underestimate the magnitude of the challenge ahead we at CSF believe that, by collaborating in good faith, fishermen, scientists, and regulators can demonstrate common cause. We are all in this together. People can get along and problems can be solved if we put aside our differences and look for a solution. Bill Karp has opened the path and we all need to explore it.